By now, the school year is in full swing, and your little star pupil is (hopefully) hitting those books hard, studying math, language arts, social studies, and all the rest. There’s one crucial subject, though, that may very well be missing from your child’s school curriculum: financial education. While it may sometimes be easy to lose sight of financial education in between French class and football tryouts, the fact is that budgeting, saving, and yes, even a bit of investing are real life lessons that will pay off for your youngster throughout life. Meaningful financial education can begin earlier than you might think. According to the Consumer Financial Protection Bureau, kids are “developmentally capable” of understanding savings as a concept by the age of five. What that means in practice? As soon as your little one is old enough to start saying (and saying, and saying) “I want,” he or she is old enough to start the saving habit. Here are 5 ways you can help your child to make the grade in personal finance – now and well into the future. Starting a small business teaches your child to think outside of the 9-5 box when it comes to making a living, a message that has become ever more important in an unpredictable economy. It’s also a fun experience to share, and who knows, your student may end up developing a skill, a passion, or even a business idea that turns into an adult career. For very small children, it could be as simple as filling up glass jars with change and then counting up those savings once the jar is full – anything that allows them to track progress visually. Once your child is old enough to start saving up somewhat bigger sums of money, it’s time to open a savings account. Skip those online banking options in favor of a local credit union where your child can make real, physical trips to deposit their savings. The sight of the drawers, the sounds of the counting machines, the smell of cold hard cash– these sensory experiences make the idea of money and banking less abstract to younger kids. Plus, in-person banking gives kids the opportunity to speak for themselves and ask banking professionals any questions they might have. But don’t settle for any basic, boring old “adult” banking. Look instead for specifically youth-oriented accounts. The benefits of youth accounts are several. First, they often include additional age-appropriate learning resources, such as games, articles, and even workshops. (You as the parent are your child’s most important teacher of financial literacy, but that definitely doesn’t mean you have to do it alone.) Second, some credit union youth savings clubs provide higher compounding interest rates as compared to “regular” savings accounts. Why would they want to do this, you might ask? 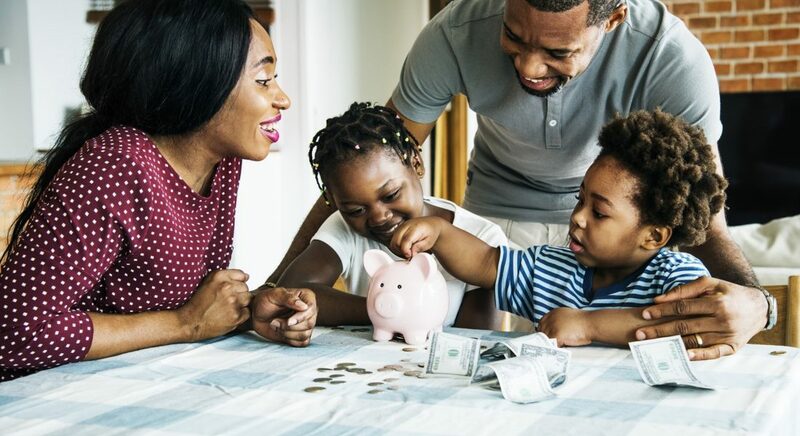 Because credit unions are all about promoting financial literacy within the communities they serve, and what better way to achieve this than by teaching its youngest members to start saving at an early age? Once your student has saved up a healthy chunk of cash, it’s time to introduce the idea of investing. You can do this easily, and without any risk, by suggesting that your child move larger sums of money out of lower-yielding savings accounts and into guaranteed share certificates. This teaches children that they can make their money work for them, an important but often overlooked lesson and one that it is never too early to learn. Some credit union youth savings programs even offer school-aged investors special rates and terms on share certificates. An added benefit of share certificates is that they reinforce the idea of delaying instant gratification in favor of longer-term goals. And boom, just like that, you’re raising the next Warren Buffet. They’ve started a handmade soap business, become a regular at the local credit union branch, and can quote you all the rates and terms on the share certificates they’ve got maturing right in time for their first year at college. Your children are well on the way to a successful and money savvy-future – good job, Mom and Dad! But your goal is to raise kids with just as much character as smarts, and that’s what makes philanthropy another fantastic lesson to learn at an early age. Parents don’t need to be told the importance of reminding kids of all ages that life isn’t always about them. Talk with your kids and find out what charitable community causes speak to them – whether that means the puppies at the local animal shelter or the less-than-full shelves in a nearby food bank. Then discuss setting aside a certain amount of their money each year for that cause. Ideally, look for charities that provide a clear view of where donated money goes, so that young philanthropists can see the impact they’re making. Having your kids keep their money with a local bank or credit union that’s conspicuously involved in local causes is another great way to promote giving within the community.